Dr. Clyde S. Smith was born November 8, 1881, in Edina, Missouri. He practiced medicine in Willard, Kansas, around 1905 to 1922, then moved to Rossville, Kansas. He married Rose Humphrey in February 1906. He owned one of the first automobiles in Rossville, a K-R-I-T, in 1912. 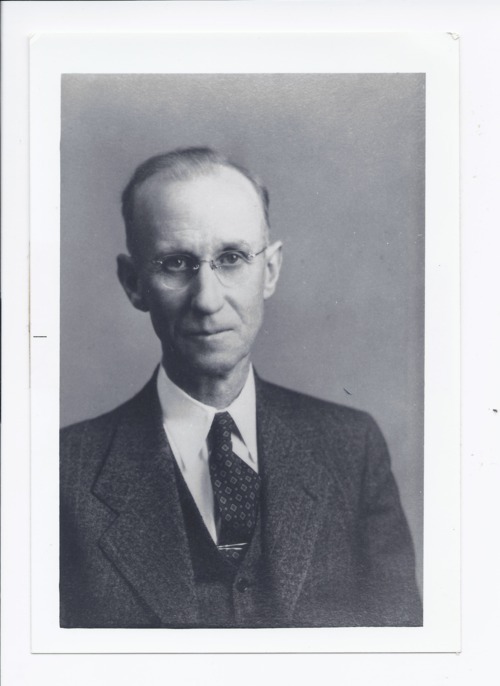 He practiced medicine in Rossville until 1959, retiring only three months before he died in June of 1959. His medical office was at the southwest corner of Main Street and Pottawatomie. This photograph is provided through a pilot project to host unique cultural heritage materials from local libraries on Kansas Memory and was accomplished by mutual agreement between the Northeast Kansas Library System, the Rossville Community Library, and the Kansas Historical Society.